CLOSEOUTS. 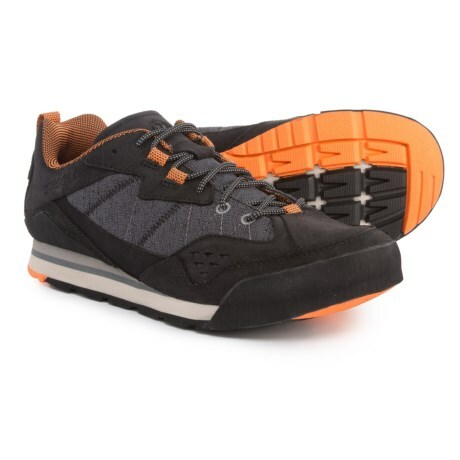 Merrelland#39;s Burnt Rock casual sneakers are stylish enough for the streets and also durable and supportive for the trail. Available Colors: BLACK, OAK. Sizes: 8, 8.5, 9, 9.5, 10, 10.5, 11, 11.5, 12, 13, 7, 7.5, 14, 15.